Britford is a small village located within sight of the historic spire of Salisbury Cathedral, approximately two miles southeast from the city centre. The parish of Britford is four and a half miles long, and at its widest point reaches two miles wide. 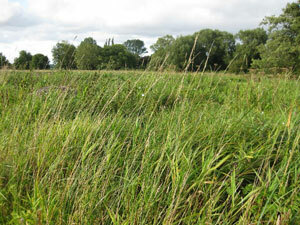 It is made up of 2,711 acres; around 2000 acres of this is pastureland and the rest is meadow and water (River Avon). It is a beautiful rural idyll that boasts a church, memorial hall, primary school and park-and-ride facility. It has one of the oldest Saxon churches in the country, an architecturally significant moat-house and a village green that has chickens wandering free upon its well cropped turf! Britford is a place of ancient history and significant cultural heritage but it is also a modern, active community. The Britford Memorial & Community Hall, which was re-opened in January 2011 under new management, welcomes its neighbours and surrounding community for social activities, events and hall hire. The Hall Committee holds social events throughout the year bringing residents, neighbours and surrounding community together. Our neighbouring parishes are Alderbury - Clarendon Park - Coombe Bissett - Homington - Nunton & Bodenham - Odstock - Salisbury - West Harnham. The Village of Britford is dispersed along the High road (A338) and the loop of Lower Road. The water meadows at Britford are a site of special scientific interest (SSSI) and lie on gravel deposits in the Avon Valley. The meadows were created in the 17th century and work when water is diverted from a river and used to deliberately flood or “drown” the fields through a series of ridges and furrows. The logic behind this practice is that the river water gives land nutrients and promotes lush and healthy growing of pasture. Britford forms part of one of the last two actively managed water meadow systems in Wiltshire, and possibly in Britain. It is amongst the few sites that retain the grassland community characteristic of this long established and once widespread form of management. Britford has an incredible diversity of flora and fauna. 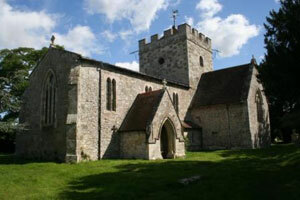 It is thought that Britford was once a Roman settlement (certainly part of the church is of Roman construction). Britford - meaning Britons-ford - is listed in the Doomsday Book as being in the manor of Edward the Confessor. The discovery in the early 1900ʼs of ʻLittle Woodburyʼ, an Iron Age Settlement, on farmland at Britford was said to have been as important to English archeology as the discovery of the tomb of Tutankhamen was to the Egyptians! The Britford Fair was traditionally a big event in the parish, taking place annually on August 12 every year. In 1835, there were 53,000 sheep sold at the fair. In present day Britford there are some fine examples of listed buildings in the parish, including the Church of St. Peter, which is Grade I. Manor Farmhouse, The Old Forge, Moat Cottage, Bridge Farmhouse and Little Manor Farmhouse are all Grade II listed buildings. Numbers One and Two Moat House are also Grade II listed and are especially interesting as the large house, now divided into two private residences, dates from as far back as the 17th century. Adjacent to the A338 at Britford, are the new housing developments of Osmund Fields, Row Barrow and Lime Kiln – all named after the fields upon which they were built. The residents of these developments, which were built in the early 2000ʼs, have made a welcome addition to local community life. © Copyright. All rights reserved. Site designed by CJ Lowe Design.